The minutes of the second CSW 55 Planning Sub-Committee meeting can be found on the CSW 55 planning page. 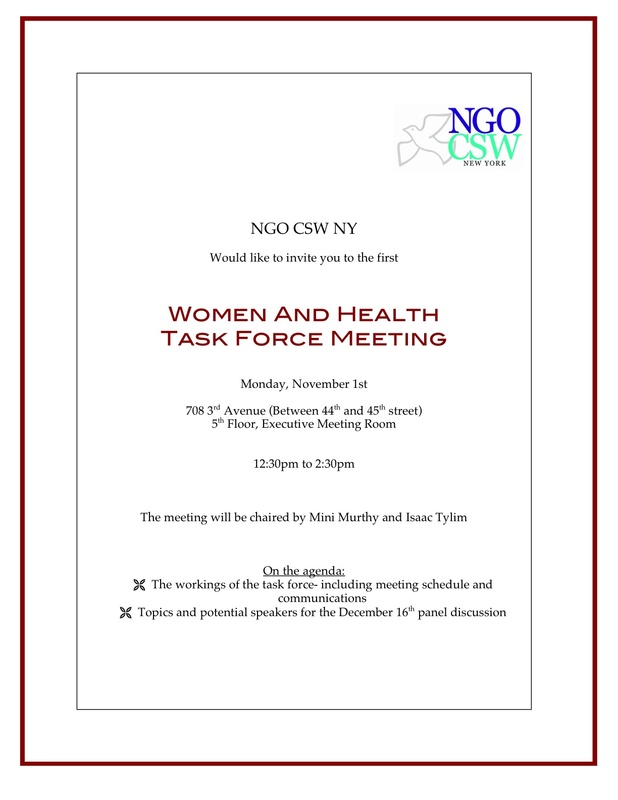 The Women and Health Task Force meeting will be held on November 1st. The meeting will be held in 708 3rd Avenue on the 5th Floor in the Executive Meeting room and not in the Church Center as previously advertised. We apologize once more for any inconvenience. The PowerPoint presentation from the Women & Poverty, presented by Catherine Ferguson, themed members meeting is available here. Please join us for the November meeting (November 18th) on Gender Perspectives on Climate Justice.